There are few words more familiar in academia than the word test. From early childhood until perhaps our advanced years, we engage with tests in countless ways—formally and informally, with anticipation and nerves. In this section we take a look at tests and exams more closely and try to demystify them. In total, you may have taken an average of 113 standardized tests between pre-K and twelfth grade, according to the Council of the Great City Schools, which studied students in large urban districts. In the 2014–15 school year, 401 unique tests were administered across subjects in the 66 large urban school systems that the council studied. You may feel as though you’ve already taken enough tests for a lifetime! But, for better or for worse, testing seems to be a fact of life, and it’s certainly a recurring feature of the college experience. So you’ll be in the best position for success if you can learn to take tests in stride and develop good test-taking skills. As you’ll discover, a big part of doing well on tests is knowing what to expect and gearing up psychologically—that is, learning how to deal with test anxiety. For many test takers, preparing for a test and taking a test can easily cause worry and anxiety. In fact, most students report that they are more stressed by tests and schoolwork than by anything else in their lives, according to the American Test Anxiety Association. Roughly 16–20 percent of students have high test anxiety. Another 18 percent have moderately high test anxiety. Test anxiety is the most common academic impairment in grade school, high school, and college. Test anxiety is “the set of phenomenological, physiological, and behavioral responses that accompany concern about possible negative consequences or failure on an exam or similar evaluative situation.” (Zeidner, 1998) Put another way, test anxiety is a combination of overarousal, tension, worry, dread, fear of failure, and “catastrophizing” before or during test situations. Poor test performance is also a significant outcome of test anxiety. Test-anxious students tend to have lower study skills and lower test-taking skills, but research also suggests that high levels of emotional distress correlate with reduced academic performance overall. Highly test-anxious students score about 12 percentile points below their low-anxiety peers. Students with test anxiety also have higher overall dropout rates. And test anxiety can negatively affect a student’s social, emotional, and behavioral development, as well feelings about themselves and school. Why does test anxiety occur? Inferior performance arises not because of intellectual problems or poor academic preparation. It occurs because testing situations create a sense of threat for those who experience test anxiety. The sense of threat then disrupts the learner’s attention and memory. Other factors can influence test anxiety, too. Students with disabilities and students in gifted education classes tend to experience high rates of test anxiety. If you experience test anxiety, have hope! Experiencing test anxiety doesn’t mean that there’s something wrong with you or that you aren’t capable of performing well in college. In fact, some stress—a manageable amount of stress—can actually be motivating. The trick is to keep stress and anxiety at a level where it can help you do your best rather than get in your way. Try a minimeditation to reduce stress and improve focus. Breathe in deeply, count to five, and exhale slowly. Watch your lower abdomen expand and deflate. Repeat five times. Learn more about how to proactively manage stress. Know when to stop. Although some students may stay up until 4 a.m. studying, it’s not a healthy habit. Your mind is more efficient when you get enough quality sleep, so make sure to schedule enough time for rest. Don’t try to be perfect. You’ll alleviate a lot of anxiety by learning that just “doing your best” is something to be proud of—it doesn’t have to be perfect. Reach out for help. If you feel you need assistance with your mental or physical health, talk to a counselor or visit a doctor. Everyone feels some anxiety about tests. However, too much anxiety can interfere with your test preparation and test taking. Take this 5-minute assessment to determine how much test anxiety you may have and what you can do about it. Visit the Test Anxiety Assessment at HowToStudy.com. Click on the “Continue to Assessment” button. You have the option to take the test in Spanish. Click on the best answer to each of the 35 questions. When you’re finished, you’ll receive a brief assessment of your level of text anxiety. You can also click on a link to learn 20 ways to reduce your test anxiety. There are many ways to understand how tests and exams fit into academia and college culture. One way is to ask what purpose the tests (also called assessments) serve. For example, what is your professor trying to achieve if she gives you a survey-type test on the first day of class? How might the purpose of that test differ from that of, say, a practice quiz given before a midterm? And what is the purpose of a midterm? Preassessments: Tests in this category are used to measure the beliefs, assumptions, knowledge, and skills that you have when you begin a class or before you begin working on a new topic. With preassessments, your professor gathers baseline data to use at a later time to evaluate change—that is, by comparing former knowledge or skills against what you learn in class. One approach to preassessment is for a professor to ask students at the start of the term to describe a term or concept that’s foundational to the course. Then, later in the course, the professor revisits that data to determine how the instruction changed your understanding of the same concept. Comparing what you know or believe before and after a course or lesson is a productive way to gauge how successful your learning was and how successful the teaching was. Formative assessments: Tests in this category are typically quizzes, pop quizzes, review questions, and practice tests. With formative assessments, your professor’s goal is to monitor what you are learning and get feedback from you about what is needed next in teaching. Did students do well on the quiz? If so, it’s probably time to move to the next topic. If they didn’t do well, it suggests that more teaching time should be devoted to the concept. Formative assessments help the instructor to better meet your needs as a learner. Summative assessments: Tests in this category are the assessments that students are most familiar with: midterm and final exams. In a summative assessment, a professor is evaluating how much you actually learned at the end of an instructional unit by comparing it with a benchmark of what you should have learned. Summative assessments can be stressful, but they can be an effective measurement tool. Most summative assessments are graded. 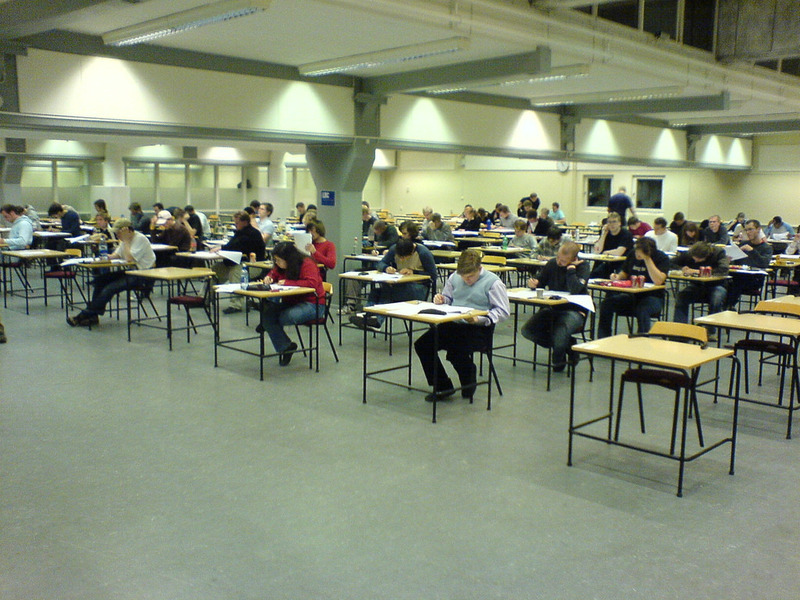 In college courses, tests are usually verbal—you might be asked to give an oral presentation, for example—or written—you might be asked to mark or write out your answers on paper or on a computer. For special courses you might also encounter physical tests, in which you’re asked to perform a set of skills (like demonstrating the procedure for giving someone CPR, for instance). Tests vary in style, rigor, and requirements. For example, in a closed book test, a test taker is typically required to rely upon memory to respond to specific items. In an open-book test, though, a test taker may use one or more supplementary resources such as a reference book or notes. Open-book testing may be used for subjects in which many technical terms or formulas are required to effectively answer questions, like in chemistry or physics. In addition, test may be administered formally or informally. In an informal test, you might simply respond in a class to discussion questions posed by the instructor. In a formal test, you are usually expected to work alone, and the stakes are higher. Below is a sampling of common test formats you may encounter. If you know what kind of test you’ll be taking, you can tailor your study approach to the format. (can be open-book, closed book or any approach in between) Multiple choice (objective) You are presented with a question and a set of answers for each question, and you must choose which answer or group of answers is correct. Multiple-choice questions usually require less time for test takers to answer than other question types, and they are easy to score and grade. They also allow for a wide range of difficulty. (objective) You are presented with a statement, and you must determine whether it is true or false. True/false questions are generally not predominant on tests because instructors know that, statistically, random guesswork can yield a good score. But when used sparingly, true/false questions can be effective. (objective) You are presented with a set of specific terms or ideas and a set of definitions or identifying characteristics. You must match each term with its correct definition or characteristics. (objective) You are presented with identifying characteristics, and you must recall and supply the correct associated term or idea. There are two types of fill-in-the-blank tests: 1) The easier version provides a word bank of possible words that will fill in the blanks. 2) The more difficult version has no word bank to choose from. Fill-in-the-blank tests with no word bank can be anxiety producing. (subjective) You are presented with a question or concept that you must explain in depth. Essay questions emphasize themes and broad ideas. Essay questions allow students to demonstrate critical thinking, creative thinking, and writing skills. (subjective) The oral exam (also called an oral test or viva voce) is practiced in many schools and disciplines in which an examiner verbally poses questions to the student. The student must answer the question in such a way as to demonstrate sufficient knowledge of the subject. Many science programs require students pursuing a bachelor’s degree to finish the program by taking an oral exam, or a combination of oral and written exams, to show how well the student has understood the material. Usually, study guides or a syllabus are made available so that the students may prepare for the exam by reviewing practice questions and topics likely to be on the exam. You are a unique person. No one else is exactly like you. In college, you have particular ways of learning; you are interested in certain subjects; you have approaches to interacting with others that are special to you. You are an individual. Your professors need to know as much as possible about what you know, think, or can do and how you differ from other students. Testing is one way to do that—to gauge how you learn, what you learn, and what you can do with what you’ve learned. By knowing more about these aspects of you as a student, your teachers are better able to serve you. What are your instructors looking for that will yield clues about your individual learning? Mainly, your instructors are seeking, through testing, to confirm that you grasp the concepts, behaviors, or skills they are teaching. They want to know that you are achieving the objectives they set out for you. Their objectives may pertain to cognitive skills such remembering, understanding, applying, analyzing, evaluating, and creating. (See the Patterns of Thought section for more information about Bloom’s Taxonomy and the cognitive domain of learning.) In addition, your instructors are always pleased to see good grammar, thoughtfulness, creativity, accuracy, and solid references. Your professors are not the only people who need to know about your learning. College administrators, such as deans and provosts, also need to be informed. Student performance gives them useful information that they use to make decisions about textbooks, teacher training, professional development, and other educational or resource needs. There are a lot of stakeholders invested in seeing students be successful. That said, your instructors are really the front line when it comes to collecting and interpreting student learning data. Tests, quizzes, homework, and other activities and assessments are often the best way to do this. Ultimately, the data your teachers collect help them refine the teaching and learning process so that everyone succeeds—students and teachers alike. Your success, though, should be the number one goal of testing. In many respects, test-taking is a skill. 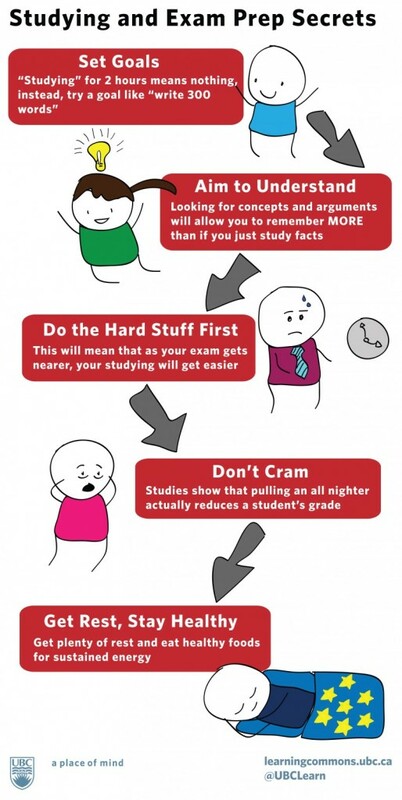 If you learn some key strategies, you can be quite successful in taking tests. The Brigham Young University (BYU) Career & Academic Success Center has a comprehensive set of strategies to help you perform effectively with different types of test questions. At the BYU Test-taking Strategies Web site, review detailed strategies for each type of test. Visit the practice tests, too. Guidelines for Answering Matching Questions: Click here for a practice test on matching questions. There are many skills and strategies you can employ to help you be a better test taker. One of them, widely used, is LAB B2OWL—an acronym to help you remember critical aspects of successful test-taking strategies. Watch the following video, which describes the strategies in detail. Then review the main concepts in the table, below. L LOOK: Look over the entire exam before you start. Take care to read the directions, underline test words, and circle questions you don’t fully understand. A ASK: If you have any questions at all, ask. For example, if the exam doesn’t indicate total point allocation, be sure to ask your instructor. B BUDGET: Budget your time based on the point allocation for each question. For instance, let’s say your exam has one essay question worth 50 percent, and 5 identifications worth 10 percent each. If you have two hours to take the test, this gives you one hour to complete the essay, and 10 minutes for each of the five short-answer questions. You will have 10 minutes in reserve to review your work before turning it in. B2 BEGIN X 2: Begin with an easy question in order to build your confidence and get warmed up for the rest of the exam. Begin each answer with a thesis topic sentence. Restate the question in a single sentence to help you focus your answer. O OUTLINE: Be careful to write a quick outline for your essay on a separate page before you begin. This will help you organize your facts and focus your ideas. It might also serve to show your professor where you were going if you don’t have time to finish. W WATCH: Watch for key testing words like analyze, define, evaluate, and illustrate. These help you understand what your professor will be looking for in an answer. L LOOK: Finally, look over your exam before turning it in to make sure you haven’t missed anything important. Below is another video about test-taking strategies. This one acknowledges that each student is unique, and therefore no two students approach tests in exactly the same way. In the following video you will see multiple students sharing their personal success strategies for studying and test taking. The infographic, below, depicts key strategies you can use to improve your performance on tests. If you carefully examine the illustrations in the infographic and connect them with the text, you will likely remember these techniques in the future when you most need them. Review the set of questions, below. Think about how you prepare (or don’t prepare) for tests and exams. What do you struggle with? What steps can you take to better prepare for your exams this semester? Make a list of what you feel are your main worries or concerns about tests or what you find most difficult to cope with. You might consider contacting your tutor to ask for advice,or find out if there are any exam-preparation workshops at your college. Make another list of any good ideas and strategies you intend to try as you prepare for your next test. How would you summarize your overall feelings about tests? How long is your study period? How long before the actual exam would you start studying? What sort of pattern does your study take? Do you work in phases, small bits or longer periods? How close to the test do you study? Up to the night before, or do you have a break? How carefully do you plan or structure your study period? Do you plan a detailed outline of what you will do, or do you just start and work through? If you need to memorize material, do you have any particular way of doing it? Do you record material in any way, perhaps summarize it on cards or paper, or record it? Do you try to include any new material while studying, or do you stick with what you have already studied? Do you try to reorganize your material, perhaps rewrite notes? Do you make use of back papers? Do you practice answering actual questions? What do you do on the night before and the morning of the test? What do you think and feel as you journey to the test location? Do you stand outside talking with others, or so you stand alone? Between going into the room and starting the test, do you have rituals such as where you place the things you’ve taken with you? Do you meditate, pray, or practice relaxation? Once the test starts, do you have a particular pattern of work? Do you have a problem with timing? Do you check back through your work before you submit it? What do you do immediately after the test? Do you contact other students or your tutor after the exam? Looking back at the tests you have taken, do you feel you have learned anything that has helped you or might help you to do better?